Are you looking for a health insurance policy to cover your whole family? ZG has got you! 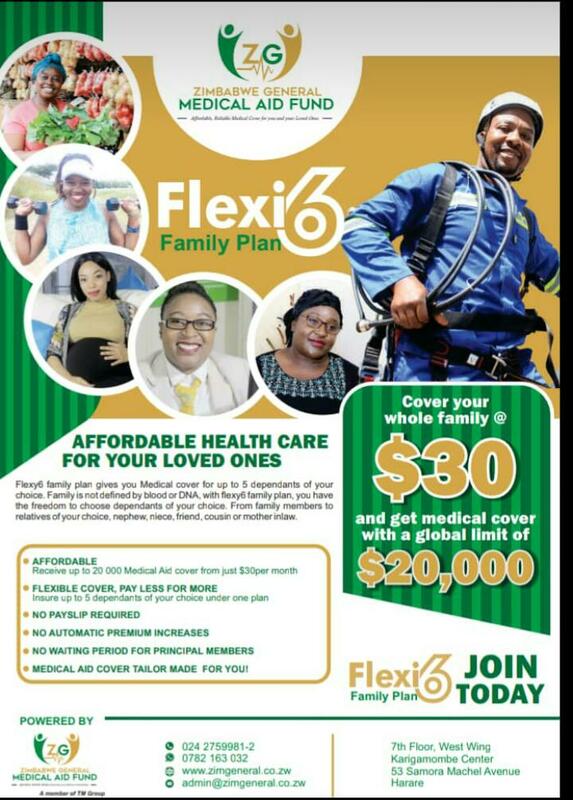 Introducing the Flexi 6 Family plan which covers 5 dependants of your choice for only $30 RTGS per month with an astounding $20000 RTGS global limit! No waiting period for principal member, no payslip required and no premium increases. Call us on 054 2223416 or app 0779450922 for our Gweru offices, 0242 759981-2 for our Harare offices, 0713982200 for our Masvingo offices and 0773086971 for our Bulawayo offices. Hurry and get covered instantly!! !